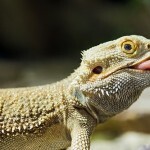 Bearded dragons have made a long journey from arid wastelands of Australia to the pet stores, but they are quite social as a reptile. 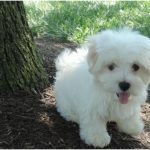 They are perfect family pets and make a great gift for children. They are mostly found in Australia. Their habitats include savannah, deserts, and woodlands. Their export from Australia is prohibited since 1960s. 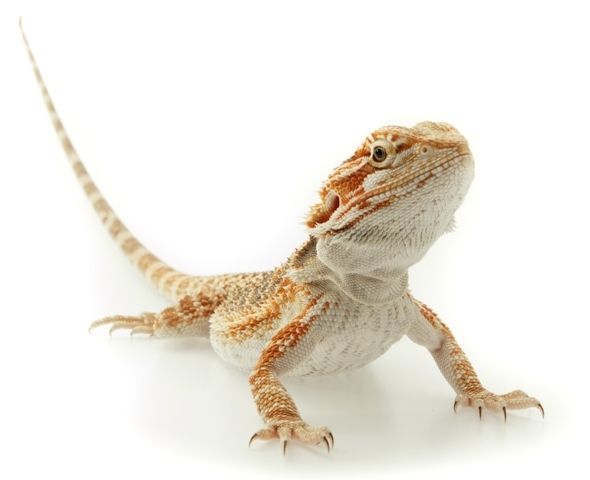 This means that most of the bearded dragons found in pet store are descendants of already exported bearded dragons. These exotic pets are present in almost all the pet shops these days. 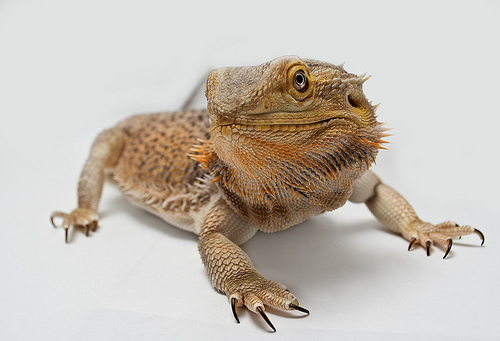 Many bearded dragons have “third eye” on their forehead which is used to detect the predators from above. 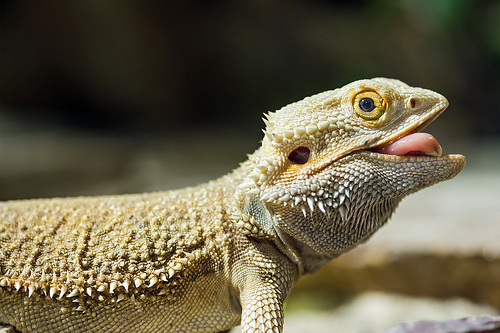 Bearded dragons are omnivorous in nature. Their diet should consume 1:1 ratio of vegetables and insects. The mature dragons should be fed once a day while the baby dragons may need feedings up to twice a day. 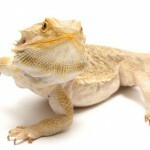 A special care is needed while selecting the habitat of bearded dragons. They are mostly housed in tanks and aquariums. 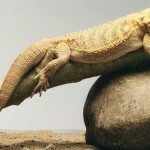 Their “lair” should be wide enough to allow the full growth of these lizards. Also, it should be provided with full spectrum of light. Since their original habitat is desert, they need 12-14 hours of full spectrum of light including the UV rays. Also, the tanks will need to be heated to create desert like temperature. They are quite docile and social. They have a rich gestural language and can even understand the human body language. They are curious creatures and love to investigate when let out. Their interaction is mostly done using these gestures only which caretaker learns to interpret with time. 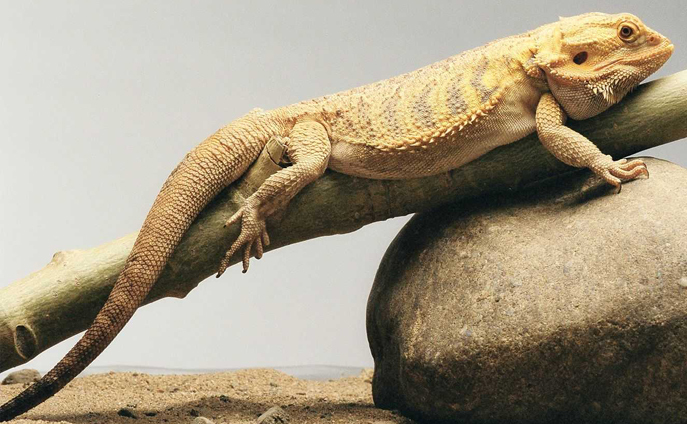 These reptiles have calm and docile nature making them a perfect pet for kids as well. The personality of the dragon varies from one to another. Some are more responsive, while others like to observe. They are diurnal in nature meaning they sleep during the night and can be seen following your every action from their aquarium. 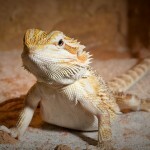 Bearded dragons do not need much of activity, but their level of activity is quite high inside the aquarium. They can be seen following up the outside action with perked up head. They might also bob their head to show their dominance. This feature is quite common in males. They undergo five stages in their lifecycle which include: egg, hatchling, juvenile, sub-adult and adult. 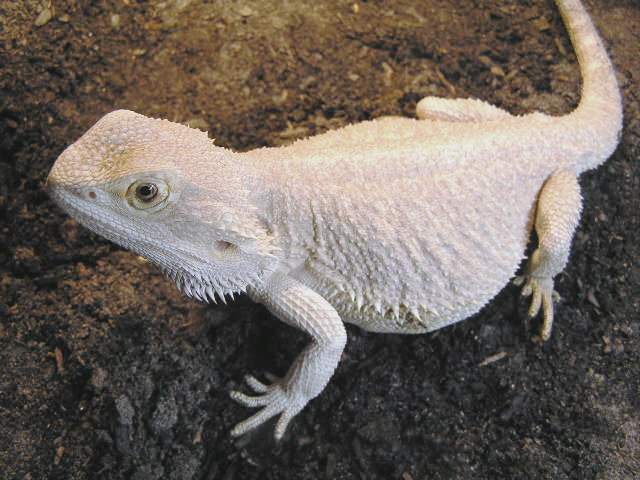 The egg stage lasts for 40 – 90 days and the bearded dragon develops until it is ready to hatch. In their eggs, they are weightless and they gradually develop organs and skeleton. Secondly at the hatchling stage, they hatch from their eggs through an opening called “piping”. They remain at this stage for approximately six months. 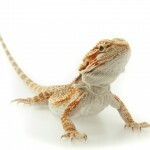 Furthermore, the juvenile stage is filled with fun and it is the best stage to own a bearded dragon. It lasts from 6months to 1 year. Juvenile dragons are energetic and heartier. The sub-adult stage lasts from 1 to 2 years and you are advised to start breeding your dragons because they are sexually developed at that stage. Finally, dragons attain the adult stage immediately they become 2 years old. At this stage, they feel relaxed and can live from 5 – 14 years depending on the region and care provided. 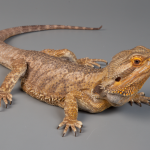 Well known predators of bearded dragons include birds of prey, dingoes and large lizards. 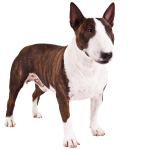 First of all, ensure that you have male and female breeds that are properly tested and screened by a veterinarian. Make sure that you provide a suitable environment with an average temperature of 77 to 88 degrees Fahrenheit and provide them with diets rich in calcium. Their habitat should have enough room for cohabitation, rocks for hiding and branches for climbing with full lighting for efficient calcium metabolism. To ensure fertility, provide a period of low temperature called brummation. Place females and males of equal size for efficient breeding and it is imperative to know that females are sexually active at 18 months. 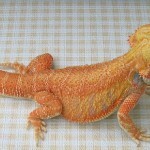 These reptiles have triangular and body with spiny scales. 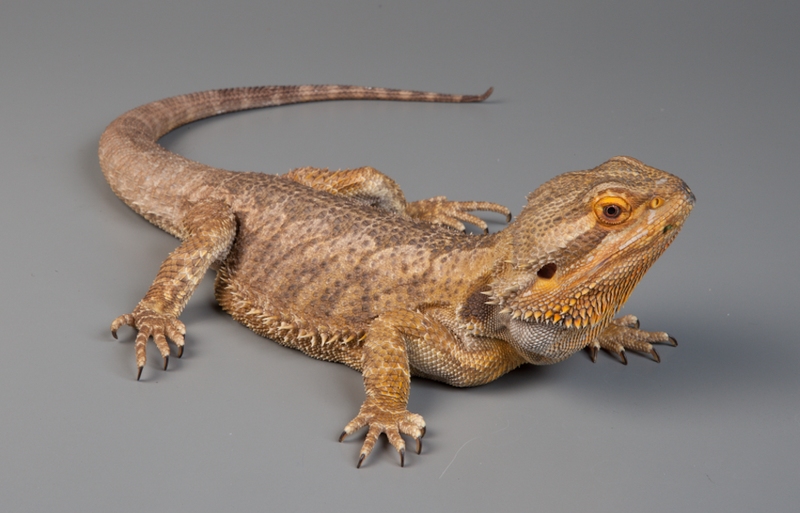 They are called bearded dragons because these scales near the throat can puff up when they are threatened or are being territorial. The puffed up scale more or less resembles the beard and hence the name. 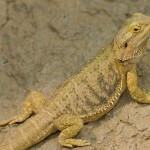 The Bearded dragons can grow up to 16-24 inches for male and 12-24 inches for females and weight from 300-600 gm. Their growth may be stunted if the habitat is smaller than what they require for their full growth. They come in variety of colors. Their color can be vivid red, yellow, tan or white. Standard colors are green, tan, yellow or red colors. Their scales and body can change color sometimes during their breeding period. They have four stout legs and well-muscled flat bodies. Their body is covered with spikes and scales. They have a tail, which is half the size of their body and unlike other lizards, this tail does not fall off or regenerate. 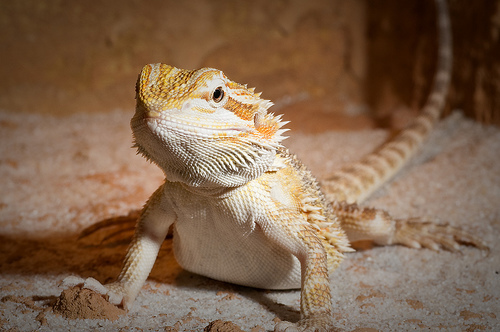 Depending on the conditions there are kept in, bearded dragons can live between 5 – 14 years. 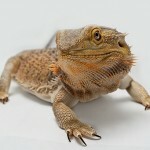 The Bearded dragons are quite healthy and hardy lizards. They go through many phases in life which might look like illness but is the natural process of life. Brumation or the act of hibernating during winter or fall is one such condition. This can vary from dragon to dragon and can go for months as well sometimes. 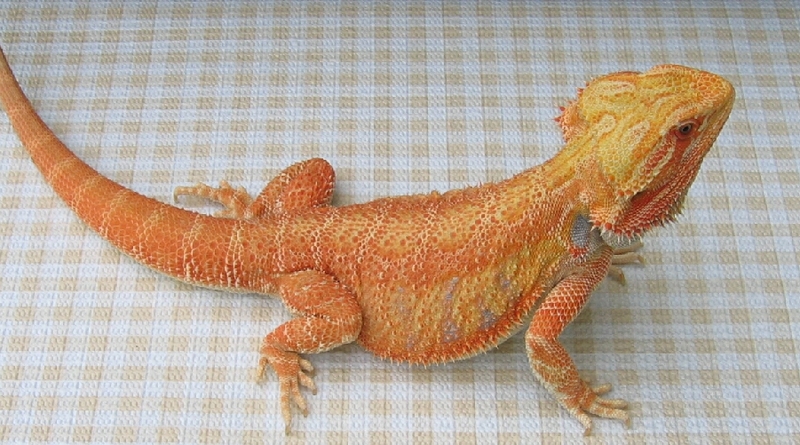 Similarly skin shedding is quite common in these reptiles. 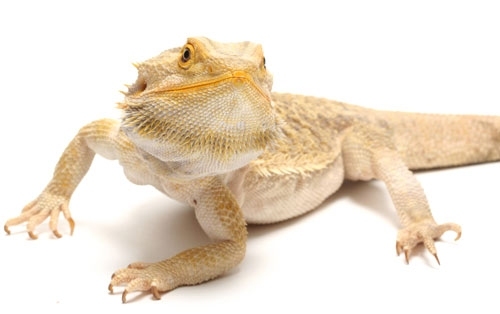 The diseases which a bearded dragon may suffer from includes vitamin and calcium deficiencies, beta-carotene deficiency, paralysis of hindquarters due to over-eating, genetic disease or other kind of hurts and wounds while climbing. The bearded dragons do not require much of grooming. It is a good idea to give them a bath once a week to ensure that their body is hydrated. Good hygiene is recommended while handling the reptiles. One should wash the hands before and after handling the bearded dragons. 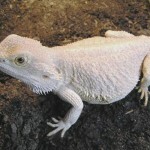 Molting or shedding occur every 6 -8 months in young dragons, and it is needed for growth. Adult dragons shed their skins but not necessarily for growth. It is a friendly lizard and can respond to human body language. It bobs its head up and down to show its dominance. Males are longer than the females and have different beards. They shed a lot of skin especially while growing. They have quite sharp claws which need to be cut in order to prevent unnecessary scratching while handling. They need to be handled with care while physically picking them up. These reptiles are curious in nature and love to investigate. Their full social behavior can be seen in the way they interact with other dragons. Unlike other reptiles, their tail is not regenerative. 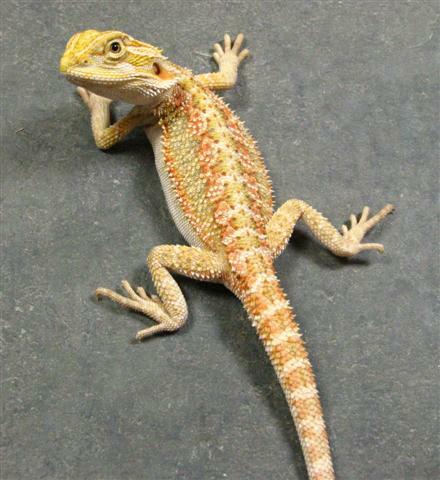 The scientific name of this lizard is Pogona. 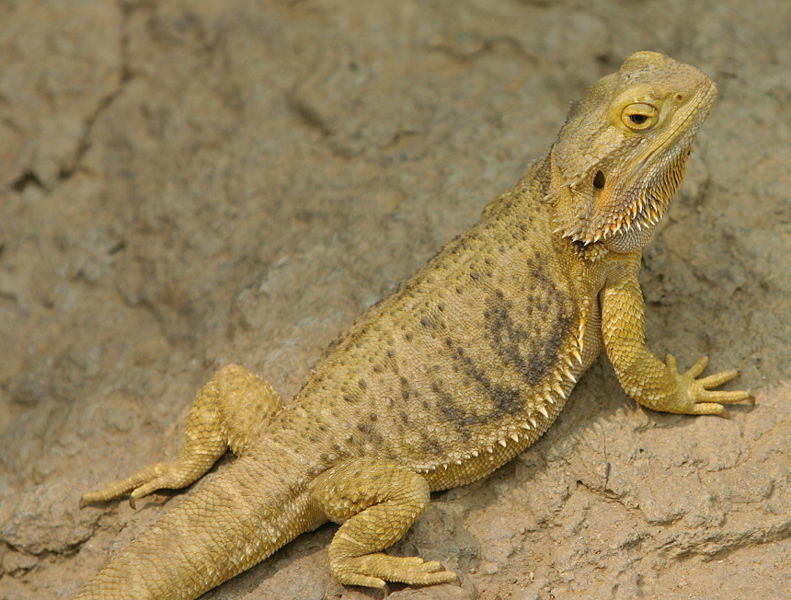 PogonaVitticeps is the most common type of bearded dragon. 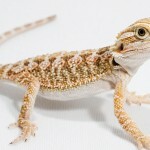 They are also called bearded dragon because of their propensity to puff up scales and spikes. They are mostly found in the deserts of Australia and were originated in US in 1990 owing to the popular demand. 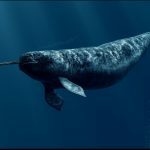 Their life span can vary from 5 to 14 years depending upon the conditions they are kept in. They are gentle and easy to maintain. The female can grow from 30-51 cm. 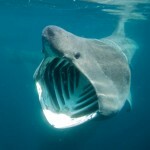 The male can grow from 40-60 cm. Their weight ranges from 300-600 grams. 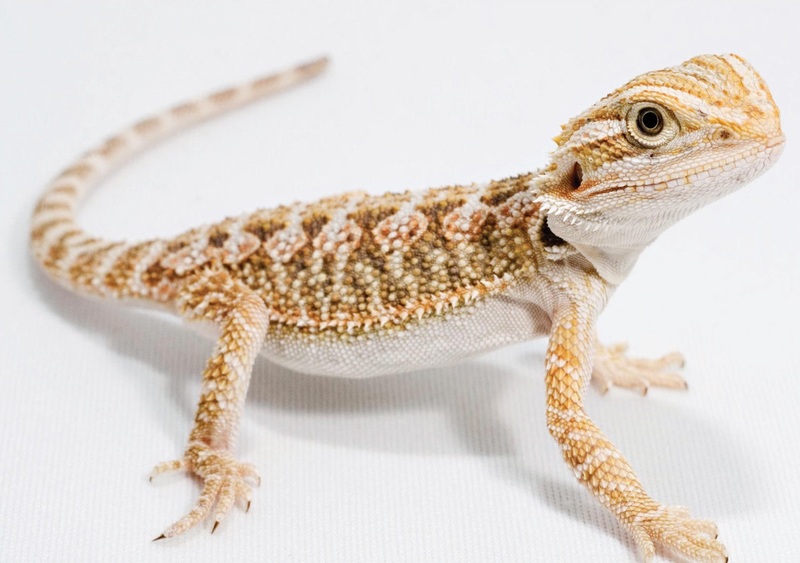 Bearded dragons come in many colors ranging from white to red and yellows. 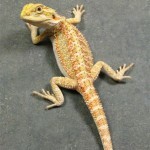 Their price can vary from $30-$100 depending upon the age and type of the bearded dragon.